PALMETTO INDOOR RANGE & SPORTING GOODS LLC is now entering its’ fourteenth year of business, providing South Carolina’s Low country and Georgia’s Coastal Empire with a safe, controlled and FRIENDLY indoor shooting facility. A complete shooting sports compound, PIR provides a ten station / twenty five yard indoor firing range for hand guns, air guns, and fully automatic submachine guns! Chambered in hand gun calibers. We are the FIRST range in The Low country with a CLASS III firearms license (suppressors, integral suppressed barrels and full auto machine guns) and the ONLY range with over 125 FIREARMS TO RENT! Our retail store is fully stocked with only the best products associated with hunting and shooting sports, including all the necessary accessories. 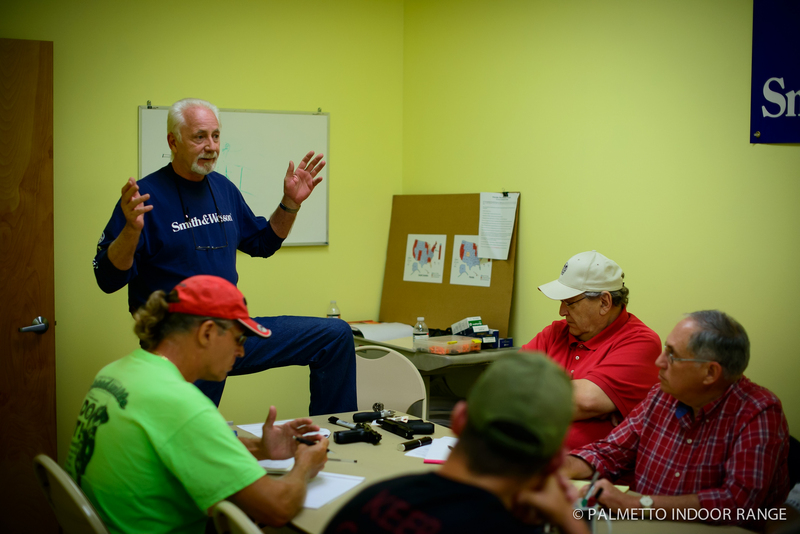 Certified Instructors and Range Safety Officers are on duty, covering all of the shooting venues. Both classroom and “hands-on” training is available. We welcome your comments. Feel free to visit Google reviews! You and your family are cordially invited to visit Palmetto Indoor Range.